Auf Wiedersehen, Pet is a story of the rise and fall of seven very different people. There are three Geordies, one Scouser, one Brummie, one Cockney and one from Bristol. 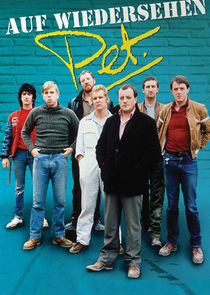 Auf Wiedersehen, Pet shows what life was really like for self - employed workers in the 1980's. And after 20 years they are reunited and begin working together again.